Here is our list of best fun things to do in Punta Cana, Dominican Republic! 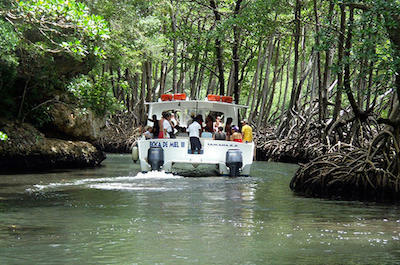 Punta Cana offers delightful adventures and excursions for the explorer! Visit the age-old city discover by Christopher Columbus. Swim in azure blue waters, snorkel and scuba dive. Punta Cana is surrounded by some of the most iconic reefs in the world. 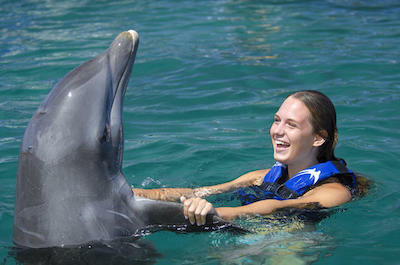 Visit a theme park showcasing exotic animals and then take a swim with the dolphins or sharks if you are brave enough. Explore the inland sugar cane and coffee plantations on a safari van or riding your own ATV. 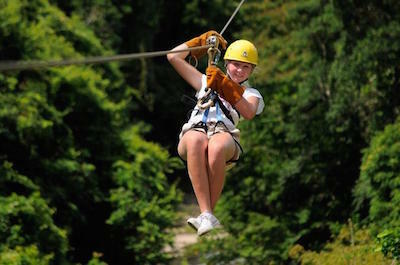 Cruise on a catamaran to a tropical island or sail over the tree tops of a tropical forest on a zipline! End your day watching the massive humpback whales migrate on their way to warmer waters. 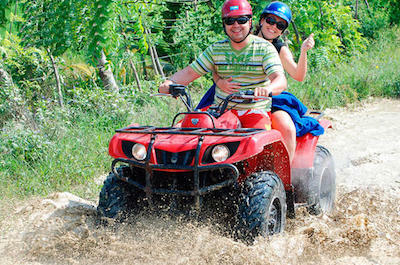 Here is a list of activities and tours in Punta Cana. One of the first things to do in Punta Cana and one of the most amazing Punta Cana activities is take a 4WD, a dune buggy or ATV tour. These fabulous and adrenaline pumping rides take you on off-roads where there are fewer tourists and stunning landscapes to explore. Experience a 4x4 adventure to Macao Beach where you will enjoy the lush tropical trails near the Oriental Mountains and learn about the local coffee and banana trades. 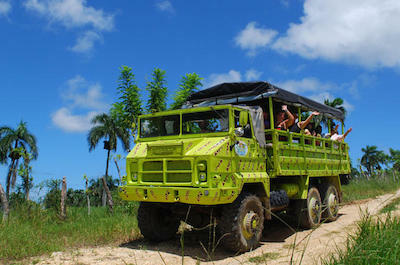 Then climb into a huge open safari truck and explore the back country roads that wind through miles of sugar cane fields. 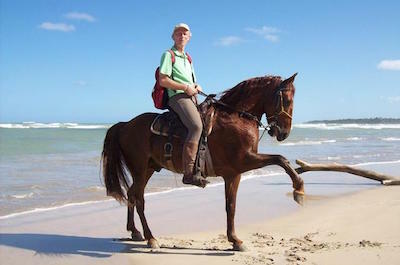 Exploring on horse back is a great thing to do in Punta Cana. 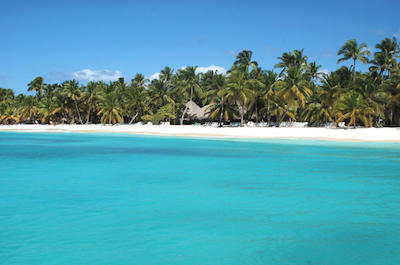 Book a tour in Punta Cana and set off along the pristine Uvero Alto Beach with a small group and a knowledgeable guide. Trips are suitable for all ages and all levels of riding experience. Your horse will be selected to match your size and weight. You can walk, trot or gallop, it is up to you! Then try a horse ride along the beautiful Anamuya River and visit a cigar plantation where you will learn the secrets of this trade. If you enjoy caves, take the Cap Cana horse ride which visits the fresh water Blue Lagoon in the depths of the Las Ondas cave. This is a stunning trip, offering a day exploring the natural beauty of the Island on horseback with a buffet-style lunch included. 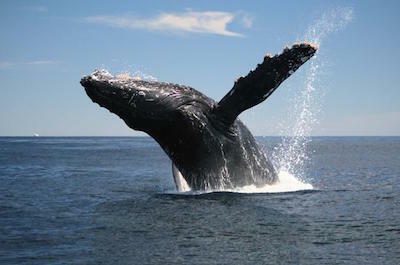 Families must spend a day at Samana Bay watching the whales. it is another fabulous thing to do in Punta Cana. Your trip will take you by plane to Samana. You will then board a whale watching vessel which will cruise far out into the bay to give you a life-changing close up look a these amazing creatures. Alternatively, set off to Uvero Alto and meet your professional and personal surf instructor. Surfboards are provided. Whether you are a beginner or an experienced surfer, you will uplift your skills with a one-on-one lesson. Learn the basics on dry land and then go in search of the ideal wave. A photographer will provide you with bragging pictures to take home! After your surfing experience relax on the beach with some fresh fruit and coconut water and chat to the instructor about your technique. 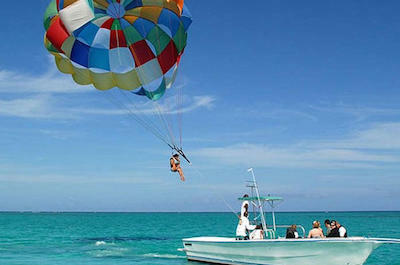 Parasailing high above the ocean is an exhilarating thing to do in Punta Cana and one of the top Punta Cana activities. Your guide will strap you safely into your seat under the brightly coloured parasail which is then attached to a speed boat. The take off and landings are from dry land, so there is no need to get wet! As the boat speeds along the coast, you will enjoy a thrilling bird's eye view of the coastline, the white sandy beaches, luxury resorts and swaying palm trees. Ride with a partner and choose your height from 100 to 250 feet. 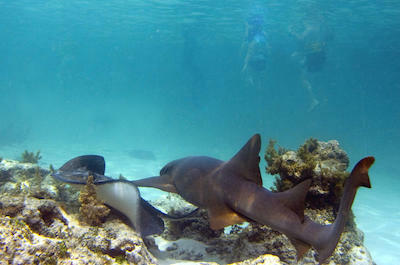 The Dolphin Explorer venue also offers a unique opportunity to interact with sharks and stingrays. Hotel pick up and drop off is included in the tours. Don't forget your camera! 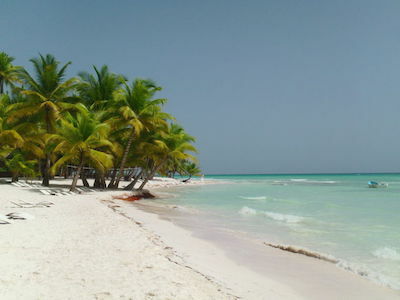 Experience a trip to Higuey, a large city in the east of the island. 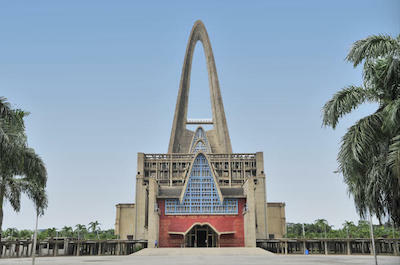 You will visit a school and the famous Basilica de Higuey. Meet and chat to local farmers and learn how they produce the iconic coffee and tobacco that the island is famous for. The truck climbs high over the Cordillera Oriental Mountain Range, 900 feet above sea level, offering stunning views. Trips include lunch and knowledgeable guides. 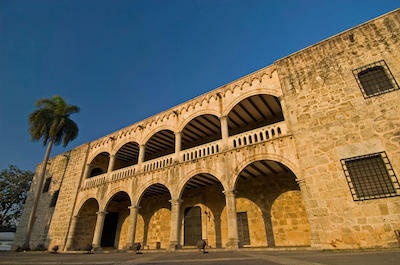 Start with a tour to Santo Domingo. On the way, explore the Los Tres Ojos limestone caves where you will see three lakes and learn about the Taino Indians. Then visit the Columbus Lighthouse, built in 1992, to celebrate the five hundred year anniversary of Columbus's landing. In the ancient city, you will see the historic Plaza de Espana and the Calle Las Damas, regarded as the first paved street of the New World. See the Columbus Palace and the National Pantheon where fallen heroes rest. Be awed at the First Cathedral. Lunch is served at a local Dominican restaurant where you will get a taste of the culture and traditions that make this fascinating Island so unique. 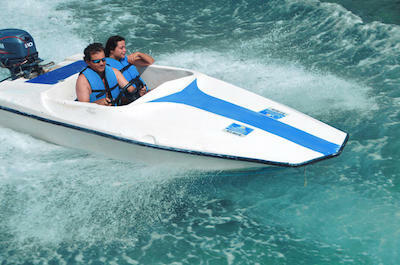 Kids and the young at heart will be thrilled by another thing to do in Punta Cana, a visit to the theme parks! The Scape Park gives you a range of thrills from ziplines to exploring a cave and mountain biking. 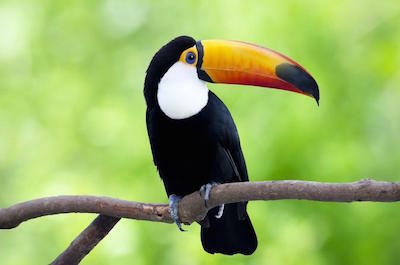 This eco-adventure Park is located in the grounds of the Cap Cana Resort. Then head off to the Bavaro Adventure Park where you can experience the flight simulator, horseback riding, the pump track, Dino World and numerous other attractions. This venue makes a great family day outing. The Manati Park offers a cultural and nature theme with exotic animals, like parrots, flamingoes and iguanas. Watch the Taino dancers do a mesmerizing dance to honour their ancestors! Visiting the oldest city in the Americas is a fabulous thing to do in Punta Cana. Take a trip to Santo Domingo and explore the city that Christopher Columbus discovered. It will enchant with its colonial style buildings, museums and old town hall. Stroll around while your guide updates you on the history of the city. 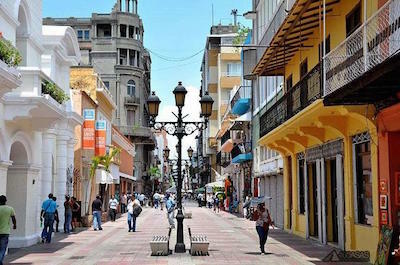 It has one of the first ever paved streets, Calle Las Damas and a beautiful historic Plaza de Espana. Pay respects at the National Pantheon where fallen heroes were laid to rest and then visit the First Cathedral. The Columbus Palace will thrill. End your tour with a local meal at a quaint Dominican restaurant, soaking up the culture and ambiance. When you are considering things to do in Punta Cana, don't miss out on a visit to Parque Nacional del Este. This stunning protected region offers a diverse range of landscapes, flora and fauna. See the beautiful waterfalls, pristine beaches, mangrove forests and karst limestone formations. Explore with a guide and learn about the natural habitat. The park is home to over 160 species of birds and more than 570 species of plants. Coral reefs and colourful marine life along the coast make for fabulous diving adventures and afterwards you can relax on a quiet beach and enjoy the spectacular sunset. Isla Saona is a small island lying off the south coast of the Dominican Republic. Taking a boat trip to visit is an awesome thing to do in Punta Cana. The entire island is a protected National Park and is inhabited by a mere 300 people. Book a day trip on a catamaran and sail off to see a small piece of paradise. Discover white sandy beaches lined with coconut palm trees. Relax on the beach and have a massage! Snorkel or scuba dive in the clear waters, the marine life is spectacular. After a traditional buffet lunch, explore the lagoons and caves and then relax with a mamajuana from the open bar. 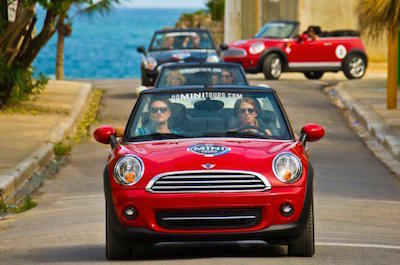 Another great thing to do in Punta Cana is a trip by mini Cooper Convertible that takes you three famous attractions - Altos de Chavon village and its Regional Museum of Archaeology and La Flor Dominicano - a cigar factory. Altos de Chavon village is a picturesque medieval Mediterranean-Style recreated village, overlooking the Chavón River near La Romana. On your way, you will pass by Casa de Campo - a luxurious resort located in Altos de Chavon. A really fun thing to do in Punta Cana is to climb onto a Segway and zoom around the city, exploring the wonderful sights that this glorious place has to offer. Take the Playa Blanca and Ecological Reserve Segway Tour and head off to Ojos Indigenas, an ecological reserve filled with rippling lagoons and tropical forestry making this the perfect place for a swim and a little bit of time-out. Then cruise through the impressive residential neighbourhoods and duck as you hear someone shout ÔFour!Õ as you pass the golf course. If you have some extra time, visit the 600 hectare park that is home to over 80 species of birds and over 500 types of plant life. Pass the ranch, the greenhouse, the apiary and the farm where sugarcane was once cultivated. 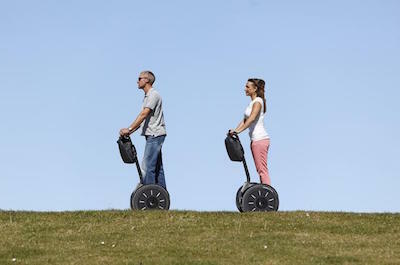 Never ridden a Segway before? Don't worry, your guide will give you a quick lesson, it is safe, easy to operate and suitable for all ages and levels of fitness. Grab your snorkelling mask, flippers and swimsuit and jump into the tropical waters, a fantastic thing to do in Punta Cana. With so many snorkelling tours on offer, you will be completely spoiled for choice. If you have a full day free why not take the Full-Day Catalina Island Snorkelling Tour from Punta Cana. 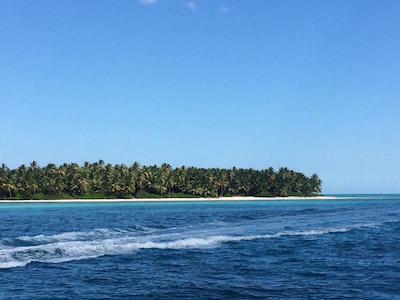 Head out on a high-speed boat, sipping on refreshments as you sail to the snorkel site. Plunge into the crystal waters and spend an hour exploring the waters on your own terms. Discover glorious corals, colourful fish and other fascinating marine life before climbing back on board for a traditional Dominican lunch and, of course, an exotic cocktail or two. 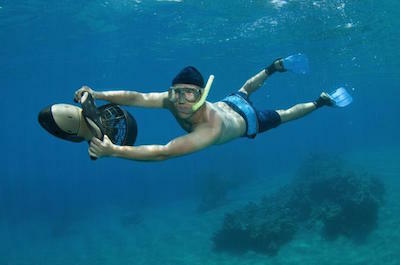 Party animals will be thrilled to know that you can combine a snorkeling trip with a full blown party. After exploring the deep, dance on board to the beat of the live DJ, sip champagne, eat delicious food, go wild and end off with a famous Dominican Mamajuna. No matter your experience level, there is the perfect tour for you. For beginners, join the PADI Discover Scuba Diving in Bavaro Tour and learn all you need to know about your first scuba dive. Learn to dive in the Padi Pool before heading into the ocean and diving 40 feet deep to discover some of the hidden gems of the ocean. For certified divers, these waters offer the best diving sites in the world. 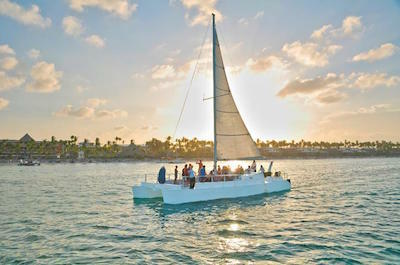 Head out on a luxury catamaran with professional guides. Jump into the water and explore colourful reefs, deep channels, ravines and ancient wrecks teeming with tropical fish, stingrays, eagle rays and huge spiny lobsters. 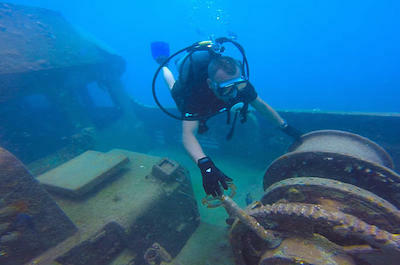 Remember your underwater camera, there will certainly be some fantastic photo opportunities! Certified divers Ð remember to bring your dive certification and logbook! Feel the thrill of zooming across the tropical ocean, the crisp air whipping through your hair and sea spray wetting your face. Taking the Punta Cana Speed Boat Tour Snuba Tour is the next exciting thing to do in Punta Cana. Commandeer your own speedboat and feel like James Bond as you secure your shades, start your engine and set off, ripping through the water at high speeds, passing some of the most beautiful shorelines in the Caribbean. Head for Saona Island for a traditional lunch on the beach before taking a dip in a natural pool that is waist deep and clear as crystal. Speed boat tours can also be combined with some SNUBA time, the easiest way to discover the world beneath the water without having to struggle with clumsy snorkelling gear. Alternatively, get the best of both sailing experiences, enjoy the thrill of a speedboat and then climb aboard a luxury catamaran. Relax on the deck or party till the sun rises the next morning, the choice is yours! What better way to see Punta Cana than from the sky! Ever feel like you just didnÕt get to discover all of the places you wanted to when on holiday because you ran out of time? Not to worry, there is a solution. 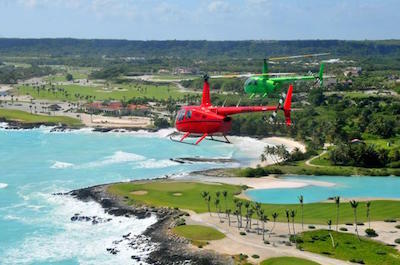 Take one of the exhilarating helicopter tours on offer, an amazing thing to do in Punta Cana. Enjoy a 25 minute flight soaring over the coastline and the stunning Dominican landscape before landing on Saona Island for a traditional lunch on the beach. 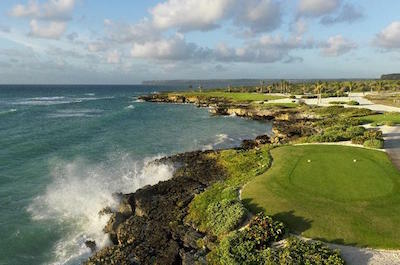 Then see all the beaches on the Punta Cana Beaches Helicopter Tour, Fly over Bavaro and El Cortecito, dotted with luxurious tourist resorts, Head north to see Arena Gorda Beach with an ominous ship wreck looming out of the waters. Wave at the people in the stately RIU Palace hotel before heading back. When making a list of things to do in Punta Cana, don't forget fishing! 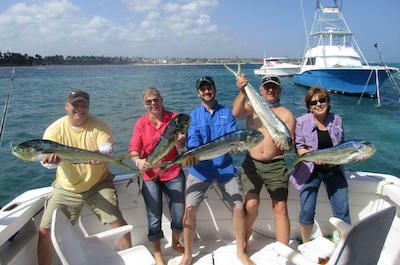 Gone Fishing offers private tours for experienced fishermen and beginners. Head out with the best equipment like Dual, Penn and Aftco and try your hand at catching a Blue Marlin, Wahoo or Yellow Fin Tuna. The crew will be available at all times with expert advice. They know exactly where to go to find the fish and make your trip exceptional. Lunch and drinks are provided when you need to rest those weary arms. 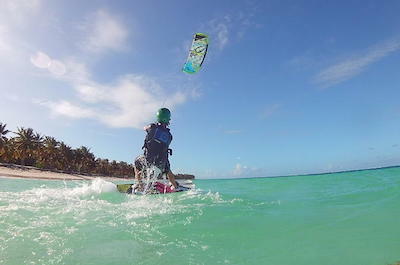 If you have never tried kite boarding, this is a not-to-be-missed thing to do in Punta Cana. Set off to the KBS Kite Boarding School for a few lessons. The professional instructors have over 7 years experience and there are packages to suit all levels of skills. This extreme sport combines surfing and paragliding into one. Put on your safety gear and harness, stand on the board and hang onto the rails of the massive kite. As it begins to fly in the wind, you will find yourself skimming over the water after it. Learn to balance, jump and do tricky spins to show-off. This sport does require strength and agility, so be prepared! The KBS School teaches you right on their own private beach that is secluded with no crowds, so you can learn without spectators watching. When you are done, relax on the scenic beach, enjoy a bite to eat and chat to like-minded people who share your passion for fun and excitement.